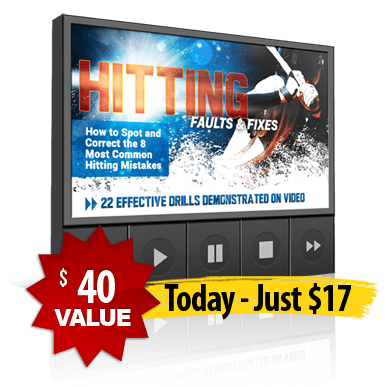 Get Hitting Faults and Fixes Online Video Clinic today and you'll get detailed demonstrations of all 8 common hitting faults - in living color, right over your computer screen or mobile device. Plus, step by step video demos for all 22 drills included in the package... performed by real college players and explained with critical coaching tips and cues. It's easy too. No special equipment or software required. You can even take the videos right to the field, and let your hitter watch them himself!